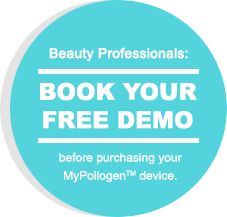 I absolutely recommend Pollogen Treatments as an effective anti-aging solution. Not only does it have a strong safety profile, but I can assure my patients a pleasant and pain-free experience. I’m excited our practice is one of the first in the United States to offer this truly innovative technology. I'd wanted to do something about the wrinkles around my eyes and on my cheeks for a long time. I achieved dramatic results in just five Pollogen FACE Treatments. The wrinkles were reduced and I feel fantastic.